Thank you to our reporters, Caity and Patrick from 3/4C for this week’s interviews with two very important people at KPS. The new kid on the block…. If you wander past the school office you will see a fresh face sitting in the office of the Assistant Principal (AP). 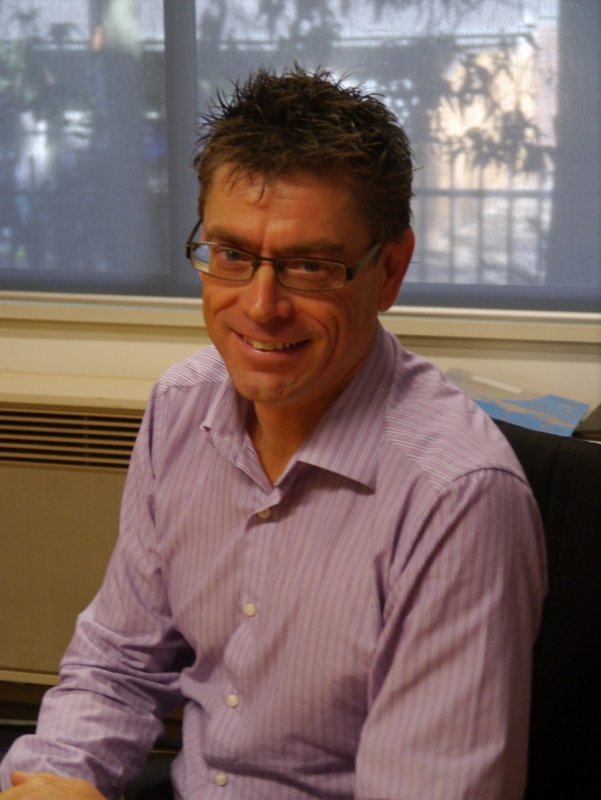 Andrew Searle has joined us from Mont Albert Primary School as acting AP, while Robin Grace has moved up the corridor to the Principal’s office. Both will be in their acting positions for Term 2, and who knows after that? DEECD will let us know. 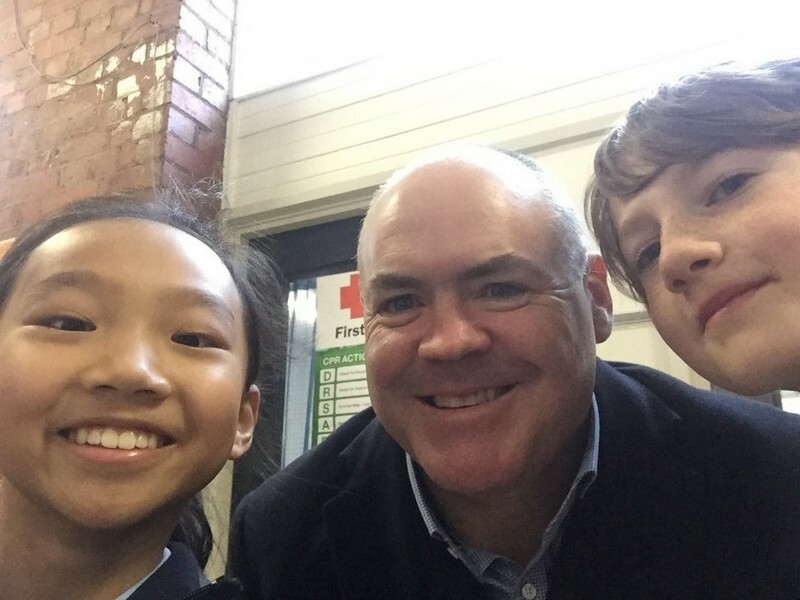 This week I popped in to see Andrew to find out a little more about him, and thought it might be a good idea to introduce him to the school community via the blog. Jacqui: Welcome Andrew, we’re very pleased to have you at KPS. I’m told you were ‘hand-picked’ to come over and help us out and I’m wondering what you were ‘hand-picked’ for? Andrew: (laughing) Well I got a call from the regional coordinator at DEECD who explained the situation here and asked if I’d be available to act as Assistant Principal for the next term. I asked him why he’d called me and he said he knew about my ability to connect with the community – with parents and staff – and thought that was really important for Kew right now. I thought it would be a great opportunity and challenge for me and I was very happy to agree. I’ve only been here a day, but everyone’s been really friendly and welcoming. Andrew: Yes, I know, but I have no history with the school – or with anyone involved in that which I think is good – I’m a new face. Mont Albert has a similar demographic to Kew Primary so I’m familiar with some of the challenges of a school like this. Jacqui: So what is the role of the Assistant Principal exactly and what will you be doing here? Andrew: A large part of the AP’s job is to look after the welfare of the students; that includes discipline, but it’s much broader than that. I work with students with disabilities and special needs and their parents, and the aides who support them. I also look after professional development for staff and work on the curriculum. Andrew: Yes, it is, but I’ve already had a few conversations with Robin about what I can most effectively do while I’m here. Firstly, I need to make sure I fulfil the AP role and keep everything under control and running smoothly, but I’m also hoping to look around and see if there are other areas where I can make a contribution. I really just want to identify the real need of the school right now and see what’s the best way I can help. At Mont Albert, I’m very involved with a number of committees – Education, Buildings and Grounds and the Fare – and I also run our classroom helpers course and information evenings on literacy. I don’t want to tread on any toes here, but I’ll just be looking for areas that might need some development and maybe I can get a few things started. I’ll be meeting with the Leadership Team this week and see what ideas they have. I’ll also be supporting Robin as she finds her feet in her new role. My first big challenge is to get to know everyone and learn some names. Jacqui: So are you from Melbourne? Andrew: I was born in Cohuna up on the Murray River, but we left there after a year. My father was a Uniting Church Minister so we moved a lot for his work in the early days. We lived in South Australia and different parts of Victoria, but I’ve lived in Melbourne for about thirty years now. I trained at Deakin University and did Professional Development to become an Early Years Literacy Coordinator. I’ve been at Mont Albert for six years, three as Assistant Principal. My fiancée is also a teacher – at Chatham Primary in Surrey Hills. Oh and I barrack for Hawthorn! Jacqui: Thanks, Andrew. It’s great to have you here and we hope you enjoy your time at KPS.